Brendan Gramer, a senior UX designer on Amazon’s Consumer Payments team, designs payment experiences for customers. 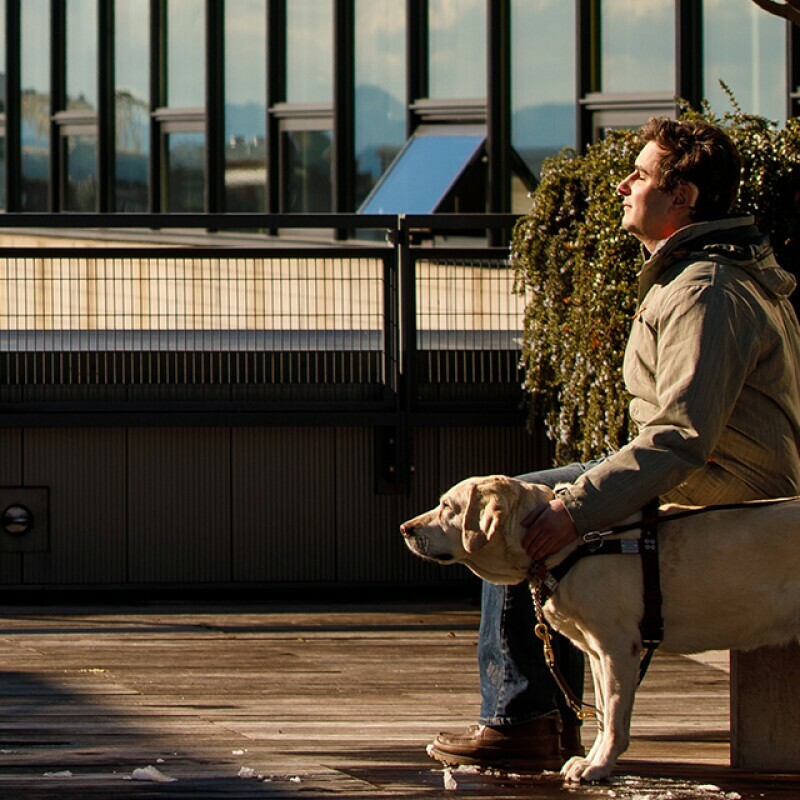 But, in his nearly 10 years at Amazon, Gramer has also helped lead efforts to connect Amazonians of all abilities by helping launch the AmazonPwD (People with Disabilities) affinity group. At Amazon, affinity groups are voluntary, employee-led groups that are designed to foster diversity and inclusion and to strengthen networking and community participation. Gramer has been deaf since birth, born to a hearing family outside of Chicago. His parents decided to raise him orally, meaning that he would learn to speak and read lips rather than sign language. Like most children, Gramer primarily communicated orally with his friends and family. Later in his life he learned American Sign Language (ASL) and realized how much he had been missing even though he read lips. We wanted to create something that would be culturally positive and demonstrate Amazon’s commitment to embracing employees for who they really are. “I would often miss homework assignments because teachers shouted them out as the bell rang,” said Gramer. It wasn’t until later in life that Gramer found a deaf community—a network of peers who are deaf and hard of hearing. Taking lessons learned throughout his life and combining them with the passion for innovation he saw at Amazon, Gramer organized a group for Amazonians interested in learning and practicing ASL - ASL Coffee Hour. Working with other passionate Amazonians, the group—open to Amazonians of all abilities—meets monthly and remains popular today. But Gramer’s most recent contribution to the ASL community at Amazon is his involvement in the adoption of the new Amazon ASL logo. 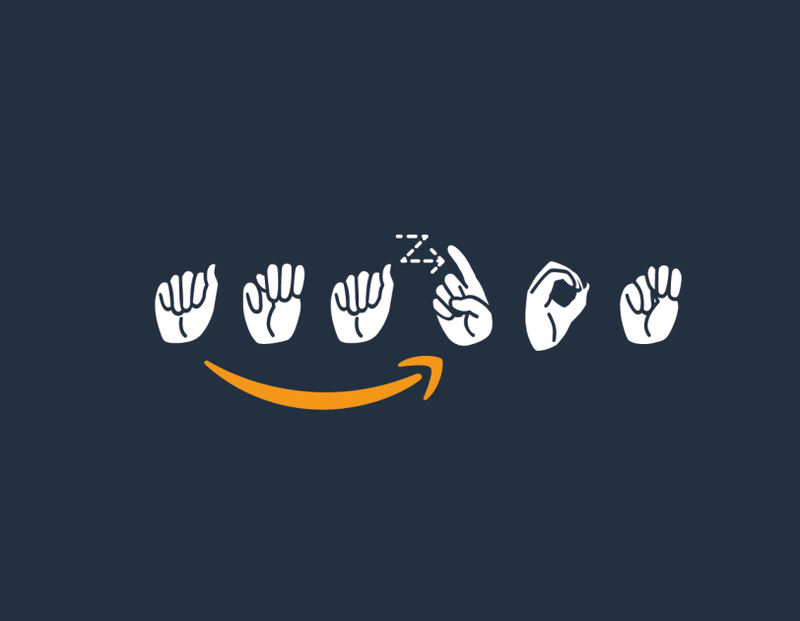 Gramer led the design of the Amazon ASL logo with a group of designers, accessibility leaders, and others. The team worked together to accurately illustrate the ASL handshapes and fingerspelling movement, translating it to its English letter equivalent. “The logo isn’t just symbolic—it’s a useful tool. For example, at our Post-Holiday Party, the logo was worn by interpreters to help deaf attendees find communication assistance,” said Gramer. In addition to driving awareness and adoption of the ASL logo within Amazon, we are continuing to hire in-house ASL interpreters to work with candidates and employees. 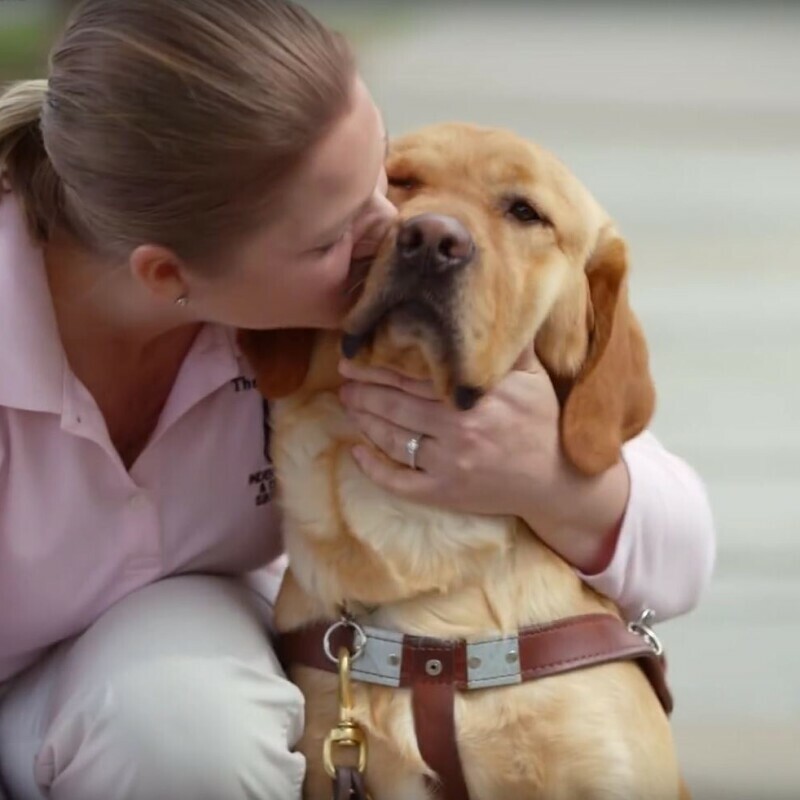 “It’s been really exciting and rewarding to see all the positive responses to the logo, and that it is helping Amazon strengthen its ASL community both at the HQ and across the company,” said Gramer.